TradeBoss.com - Steel Coil, Product by Tianjin Tianyingtai Steel Pipe Co., Ltd.
Steel coil is widely used in cable armouring, deep drawing application, build application, constructions and so on. It is a common material in steel field. Galvanized hot rolled sheet is usually used for building construction. The thickness will be bigger than cold rolled sheet. And the zinc coating of steel sheet can be produced according to customer requirements. But if the higher zinc coating, the higher price. 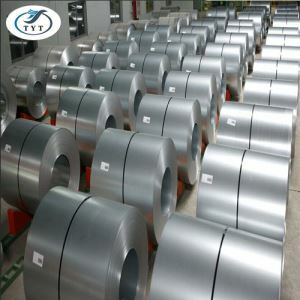 The highest zinc coating often be 275g/㎡.One of steel sheet weight also can be customized according to client's demand. The common weight is about 5tons. Welcome to inquiry!We are looking forward to find customer, who can build long-term business relationshi with our company.